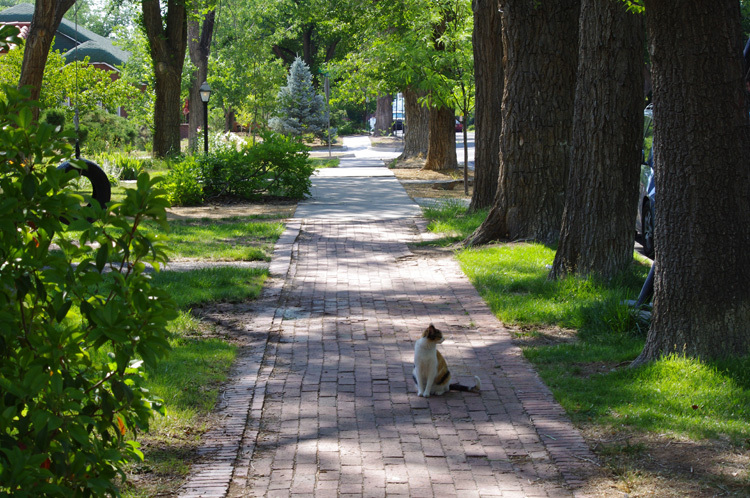 This rather un-New Mexico-like photo shows a local kitty-cat in the Spruce Park neighborhood in Albuquerque. I passed that kitty this morning on my walk. S/he was hunting birds in the bushes. Sweet thing. It’s a nice neighborhood, isn’t it?